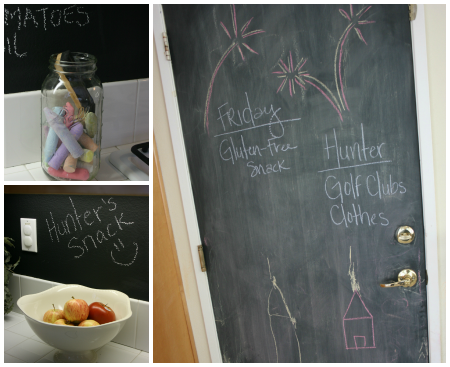 There are many reasons why a chalk wall fits perfectly in a kitchen. For one, it’s a chalk wall and who doesn’t love a chalk wall? And no, it doesn’t have to be for the kids -- my husband and I find many ways to enjoy (and out-do) each other with a few simple pieces of chalk. In small or great room-style kitchens, wall space is a rarity. With cabinets taking up most of the wall space in an open kitchen, your only wall space usually ends up being a backsplash. Take advantage of your kitchen walls for different, effective and practical reasons. My kids are getting smarter as they get older. When a babysitter comes over, they have a way of convincing the sitter they are allowed to have 10 scoops of ice cream and a handful of sugar cookies. I like to write my rules and reminders in capital letters right where everyone can see them, so there's no confusion. When your friend calls with a new and exciting drink or food recipe, grab your chalk and jot down the details on your wall. 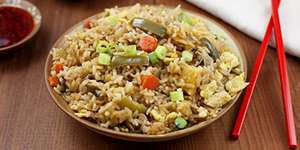 You'll be less likely to forget the details (or that you must try this new recipe) with it being right in front of you instead on a piece of paper -- which can get lost way too easily in a kitchen drawer or tossed in the trash can. When my kids get sick, they almost always get high fevers... They are fever kids. My husband and I take turns taking temperatures through the night and keep a log of when the temperature was taken, what the temperature was and what medication was given. Because we keep all of our medications locked in a high cabinet in the kitchen, keeping track of this information next to the thermometer and medication makes the most sense. Run out of shredded cheese while making your favorite enchilada dish? Did you pour the last of the milk in your child's bowl of cereal? As a busy mom of three, I never have the time to sit down to make one grocery list an hour before I walk out the door. Making a list throughout the week is more of a reality, especially because new things come up daily. 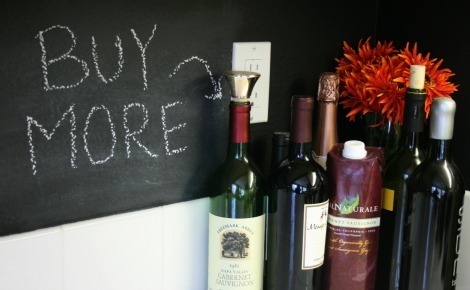 I prefer to add my needed items to my kitchen chalk wall, and then put a final list together seconds before leaving the house. My husband and I like to out-draw each other. He draws funny cartoon characters -- I draw pictures of coffee and wine. I got a little carried away with the chalk paint and painted our garage door, too (which is conveniently located in our kitchen). After painting the door, we now use the top portion for reminders and the lower part as a play space for the kids.